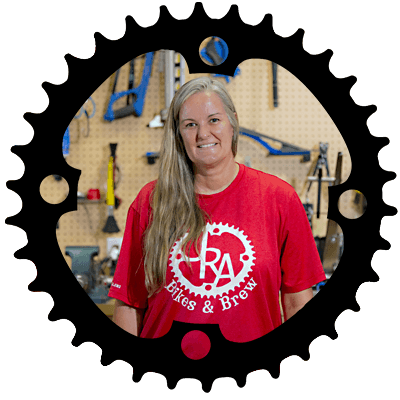 Tamera is the co-owner of JRA Bikes & Brew. She grew up in Agoura Hills enjoying the outdoors with competitive horseback riding, cycling, hiking and camping. Tamera was the one who convinced her husband Vince to get a mountain bike back when they were just dating. Rumor has it he never could catch her on the downhills. Don’t mention it to him as he’ll never admit to it.